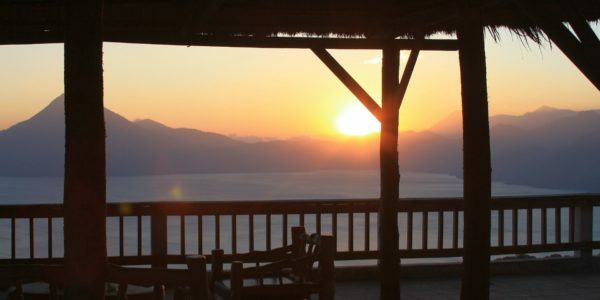 This spectacular, 3-bed (all ensuite), lake-front villa is set into the hillside near to the small Lake Atitlan village of San Antonio Palopó in Guatemala. 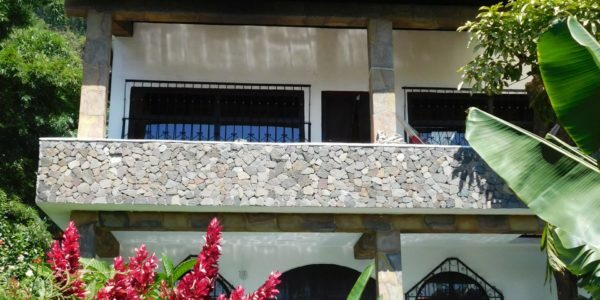 Its terraced design enables truly jaw-dropping views out across to the lake to the volcanoes. It has both road and boat access. It is a very solid constructed on rock with a foundation design incorporating concrete pillars sunk well into this rock. Two architectural firms and an engineering firm participated in the two-year design process. 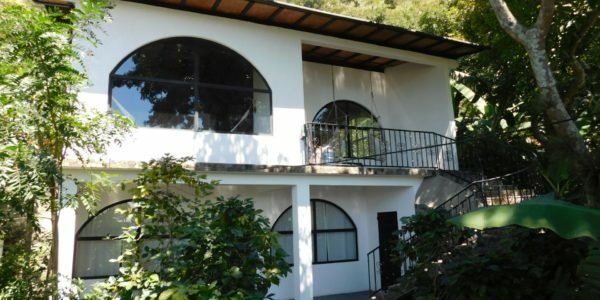 The property is secure and secluded with 335 feet / 102 metres lake front. 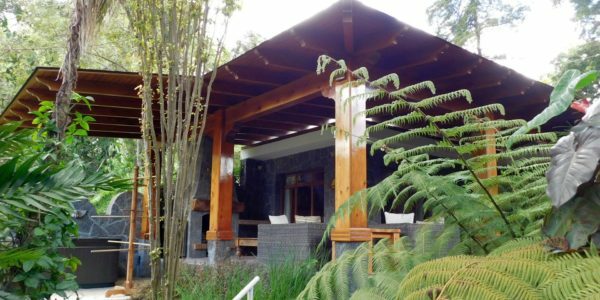 To the east is the Parankaya river and a rock wall and to the west 2 large lots (included in the price), allowing total privacy. The whole property is made up of 2 lots, which it could be divided into. A large, spacious, open-plan main room boasts a spectacular 25-foot / 7-metre high palapa (thatched in the local coastal style) roof. 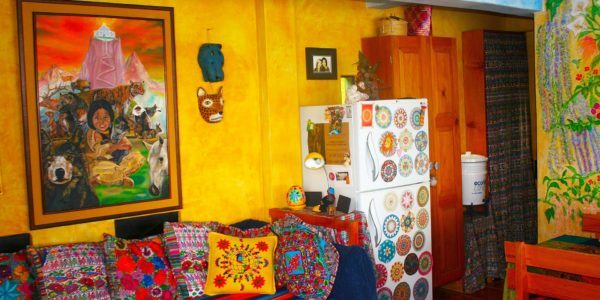 Beneath is the living and dining area, as well as a fully-equipped kitchen. In the kitchen you will find beautiful cherry wood cabinets, quartz counter tops and stainless-steel appliances (including that all-important wine cooler!). There is a breakfast bar and spacious dining and living areas. Access to outside terrace area and wonderful views continue. The master bedroom is large and spacious with en-suite bathroom with double vanity and a walk-in closet. 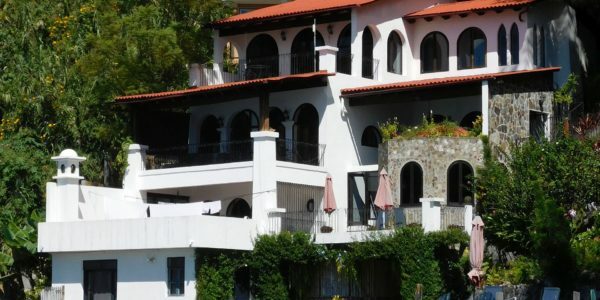 There is a custom-made, king-size, memory foam bed and doors lead to outside terraces. The upper guest suite is furnished with a queen bed and plenty of cupboard space and private bathroom. The lower guest suite, also with a private bathroom and views, as with all the bedrooms. This bedroom also has a private entrance from outside. The whole building has custom-made German windows and exterior doors. And the interior doors are all custom-made from solid wood. Large commercial washer and dryer on main level. 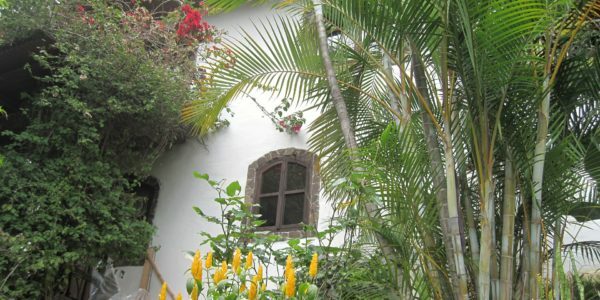 The colourful and lush gardens weave around the house and down through the terracing to the lake shore and private dock. 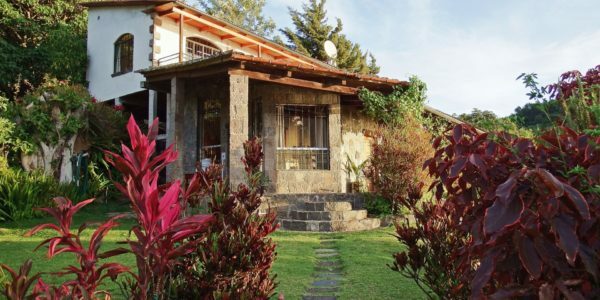 The property is ideal as a family home and/or vacation property and has been successfully rented as such. Or, perhaps even a boutique hotel?! Accessible by road and boat. 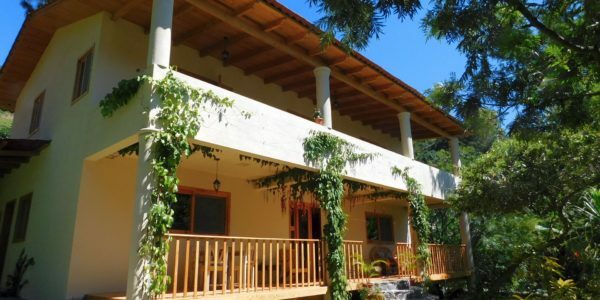 $325,000 This fabulous home is for sale in one of the most popular villages on Lake Atitlan, Santa Cruz la ..
$325,000 This gorgeous, tropical, California-style, lake-front home is on four levels offering amazing views from each of them. 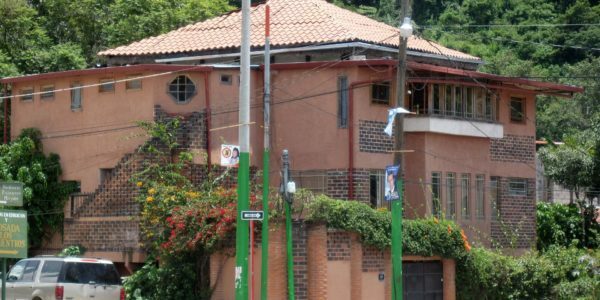 Situated close ..
$365,000 A large property (about a third of an acre) with a huge building divided into three apartments on three ..
$120,000 A large house on two levels, each one divided into an open-plan, studio apartment with kitchen and bathroom, along ..
$285,000 A fantastic property investment or family home in one of the most popular areas on Lake Atitlan: Paxanax Bay, ..
$295,000 This fabulous 3-bedroom, 3-bathroom family vacation home is located in the middle of the secure, peaceful, gated Pacoc Yacht ..
$475,000 A beautiful, 4-bedroom, 2-bathroom family home on 3 levels, each one with breathtaking views out over Lake Atitlan, Guatemala. ..
$200,000 – REDUCED TO $187,000 A wonderful, 3-bedroom, 2-bathroom family home on a large lake-front property just outside of San ..
$153,000 – REDUCED TO $143,000 – SOLD Excellent investment option! Casa Colina (hill) is a two-story home set in a ..
$200,000 A wonderful, well-constructed building on 3 levels set in gorgeous gardens with a large piece of land behind it ..
SOLD $150,000 (We have other gorgeous properties for sale, not always on our website, so do please contact us directly) ..
$289,000 – NOW REDUCED TO AN AMAZING: $199,000! – SOLD Looking for a quick sale – FANTASTIC INVESTMENT OPPORTUNITY! 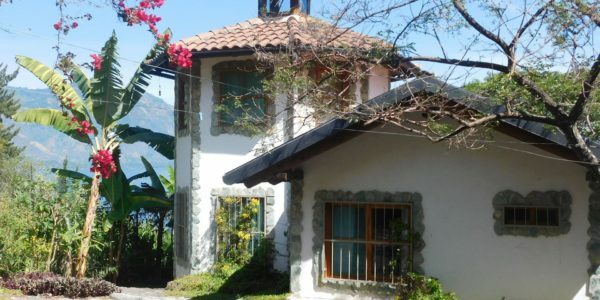 A ..
SOLD $65,000 This beautifully-appointed and decorated, two-bedroom casita surrounded by a small, but very lush garden, is right in the ..
SOLD $250,000 The idyllic property of Sharyanka in Santa Cruz, Lake Atitlan, is surrounded by gorgeous, lush mature gardens and ..
$150,000 – REDUCED, NOW $130,000 This property consists of two apartments, which are for sale separately, together, or even the whole ..